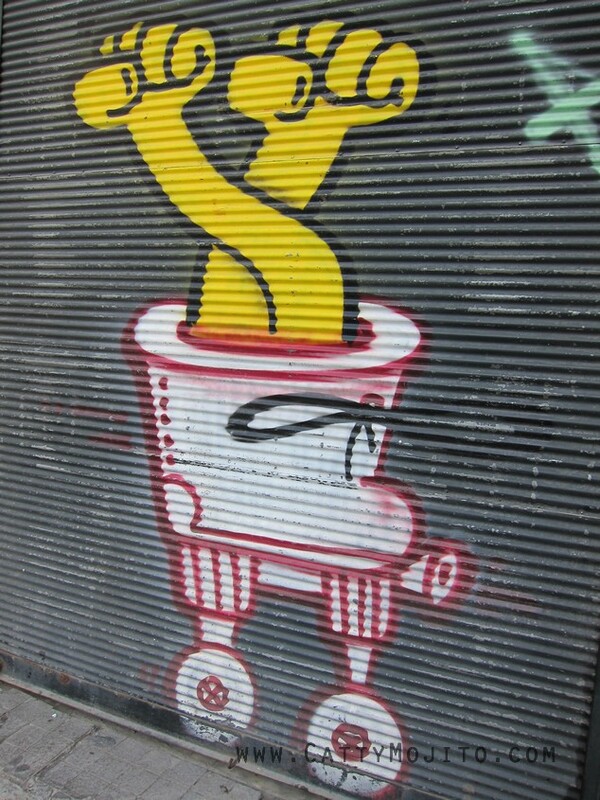 We saw some pretty interesting graffiti in different areas of Istanbul during our trip. 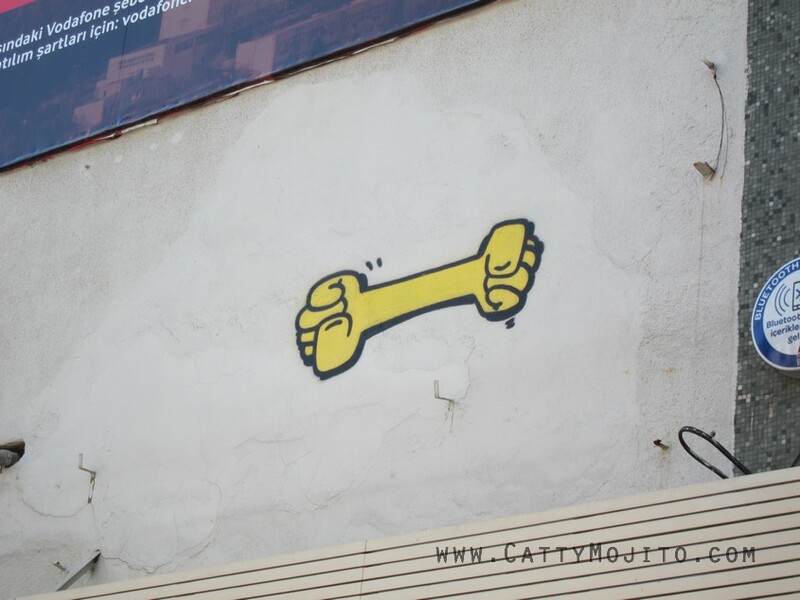 I like taking pics of graffiti when they're done well, and this 'yellow fist' motif is actually repeated in lots of different places in the Karakoy district. 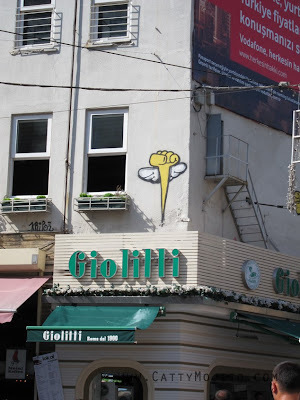 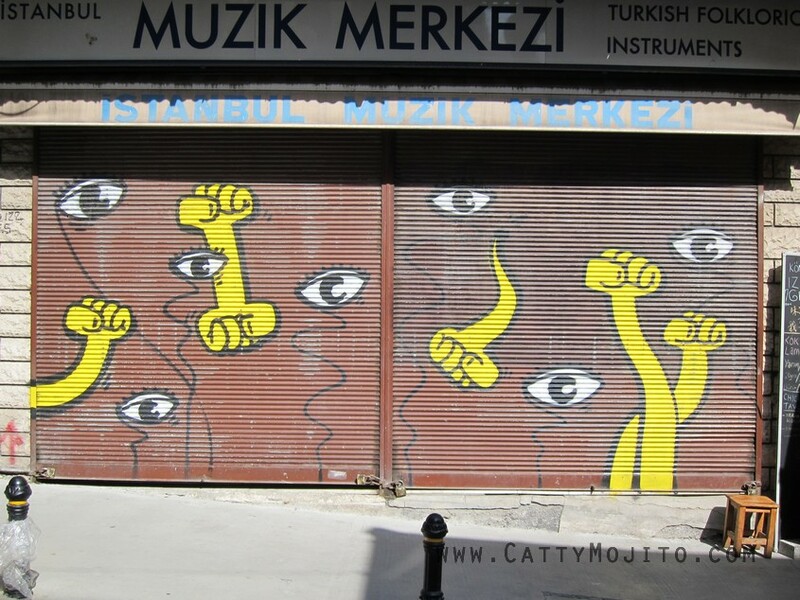 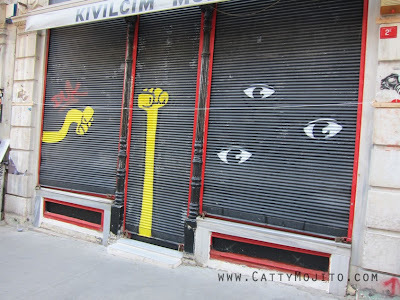 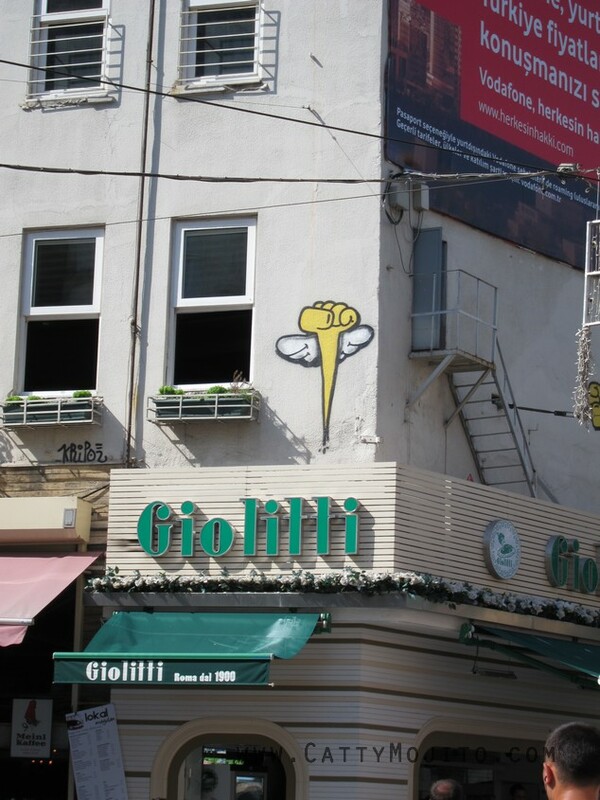 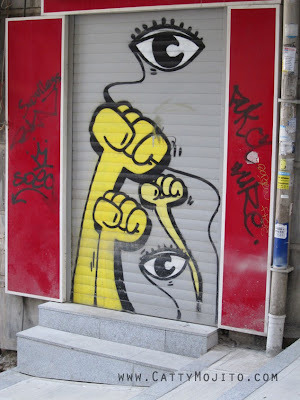 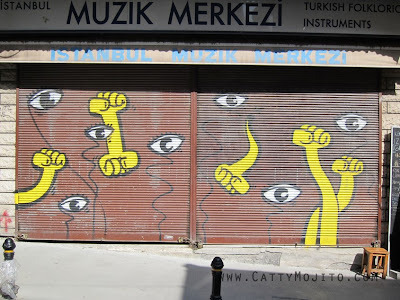 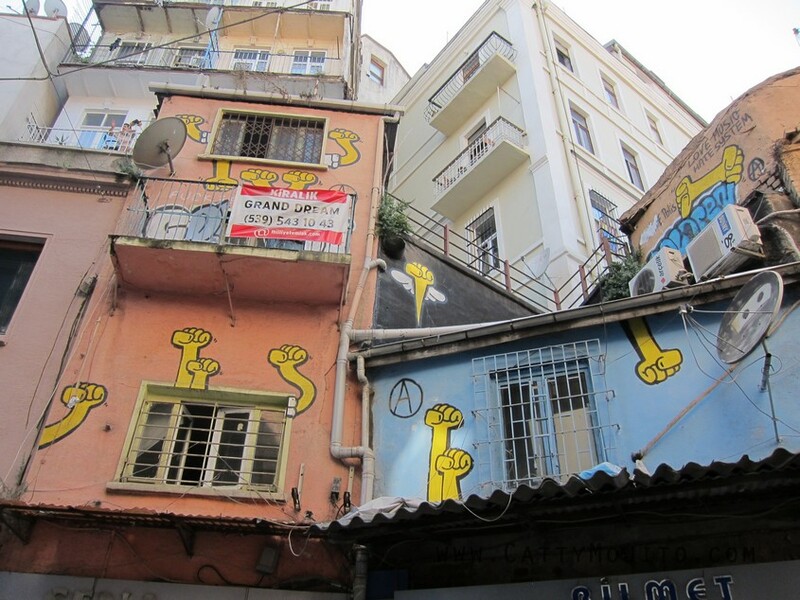 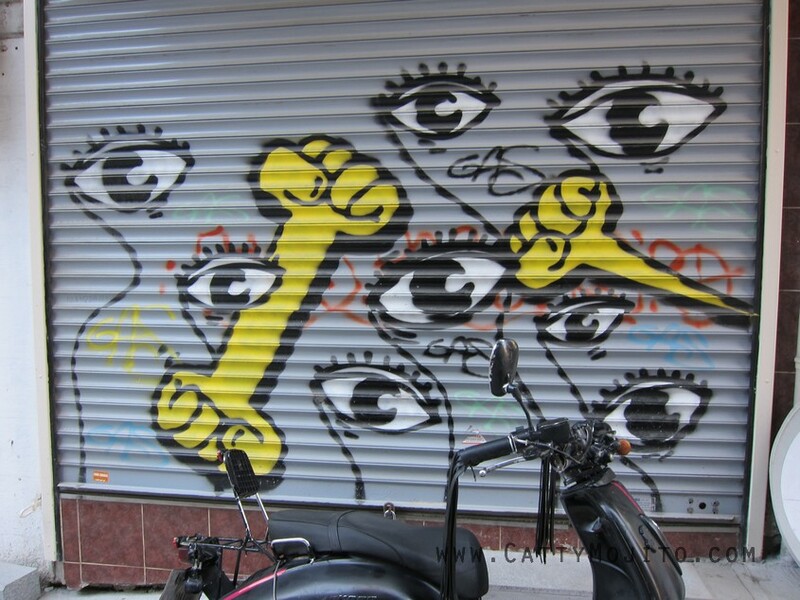 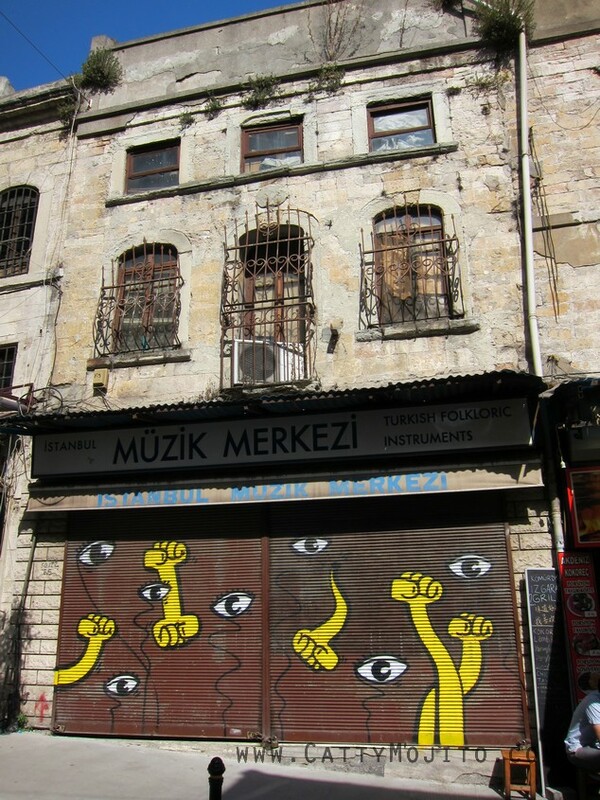 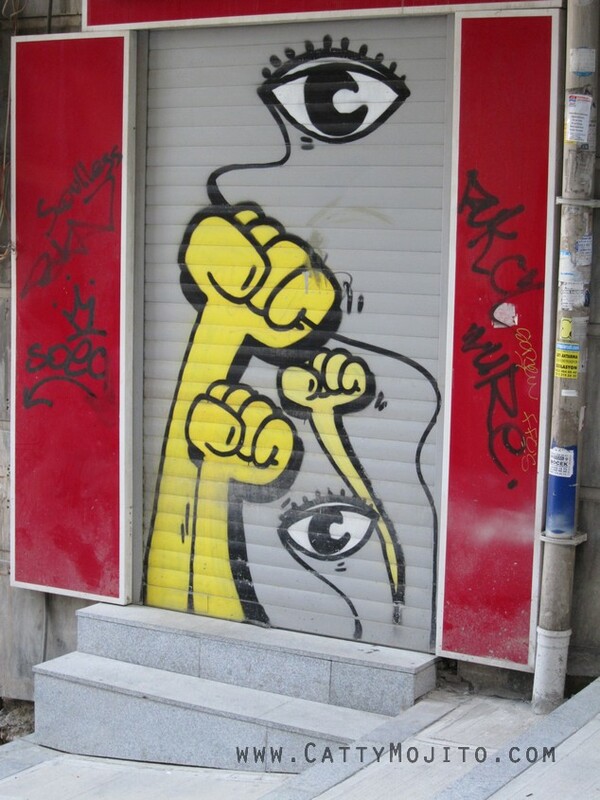 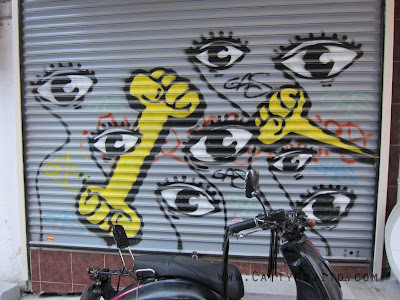 I just googled this 'yellow fist' graffiti motif and found out it's done by a German/Turkish artist called Kripoe. 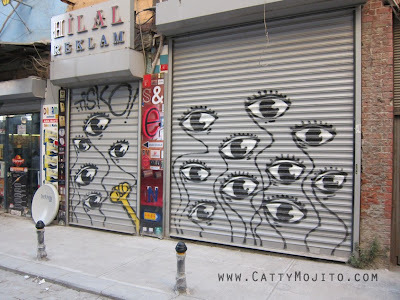 I like the eye motif especially - it reminds me of the 'evil eye' concept, or Eye of the Medusa in Turkish (and many other especially Middle Eastern) culture. 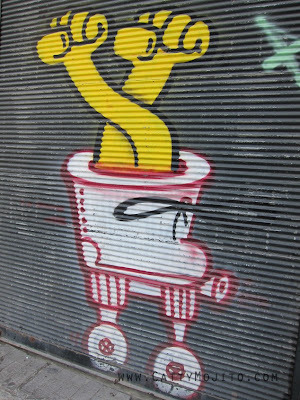 Of course, that may not be the artist's original intention!